Now is the time of year when cold weather approaches and spring blooms are mostly gone. But just because it’s not the beginning of the season doesn’t mean you have no interest in your yard to look forward to. With some thoughtful planning and selection of the right plants, you can maintain a vibrant garden with great aesthetics all year. A lot of homeowners underestimate the importance of understanding their yard and what is happening in it. As we transition to the fall season, it’s important to walk around your yard and evaluate your flowers and shrubs before the serious cold sets in. Take a look at all the areas that you worked on in the warmer months. Around this time of year, perennials should be beginning to wilt and wither, while biennials enter their dormant phase. Keep an eye out for any signs of abnormal activity, like disease or parasites. Also get a sense of the general health of each area. Are there certain parts where plants didn’t grow the way you anticipated? Take the opportunity to evaluate your planting arrangements and see what you can improve on. Many common animals and insects people enjoy in their yard - typically pollinators like hummingbirds and butterflies - hibernate or become less active in the winter. If you want to ensure the presence of these attractive creatures, you should prepare your yard now by planting species that provide sufficient nectar for pollinators. Bees are one exception to this rule. They need to feed on nectar from open flowers throughout the winter. If you choose plants that bloom late, you’ll be able to help the natural environment while also enjoying attractive blooms well into the fall. After you survey your yard and come up with a list of fall season plants you want to grow, the final step is to arrange them effectively. While it may be slightly easier if all the same plants are kept in the same location, this isn’t the best way to create a pleasing aesthetic. Instead, you should try to plant a mix of flowers and shrubs with various bloom times throughout the yard. This way, you can maintain attractive blooms in every location, instead of just having one part blooming while the rest of your yard looks vacant and empty. 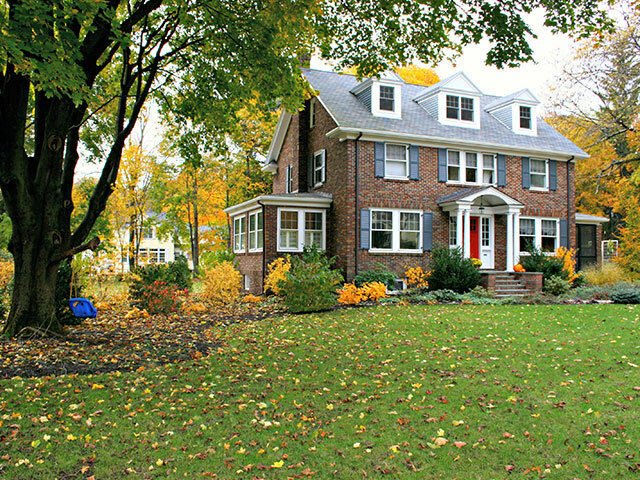 The autumn months are a sort of in-between time when it comes to maintaining a lush, beautiful yard. You won’t be doing as much as the spring or summer, but you still want to take steps to help your yard mesh well with the environment and prepare for warmer weather. 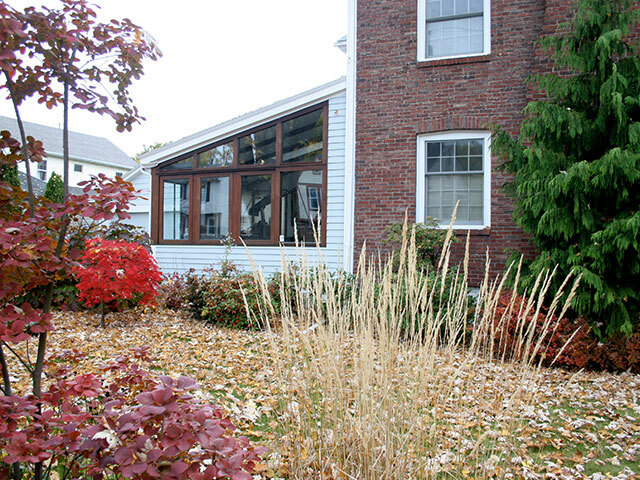 Ultimately, you should use your own tastes and preferences to plan the way your yard looks in fall. Think of it like painting a room - except instead of paint, you express yourself with living things that help make the planet better. 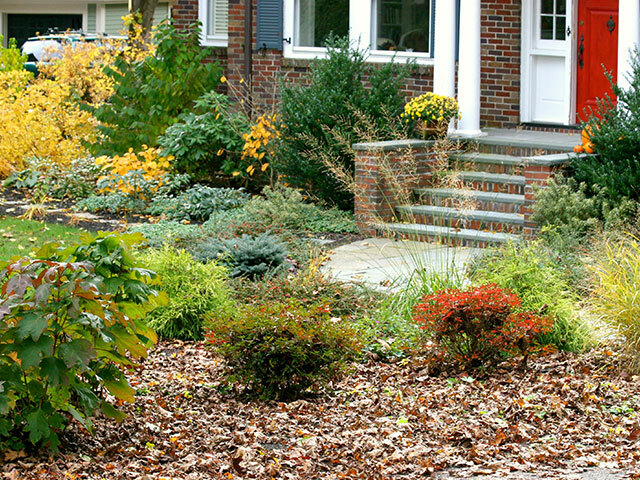 If you need any help with your fall yard preparations, reach out to our team for assistance.